Yesterday I went to a talk where the program coordinator for the San Diego Long Term Care Ombudsman Program was the speaker. Coincidentally, one of the people that I interviewed for the Rock Your Retirement podcast (go to http://RockYourRetirement.com for details) had indicated that he was interested in this program, and had gone through 5 weeks of training before he moved into a different county, and didn't want to start over. How lucky! I forwarded him the coordinator's contact information in case he could pick up where he left off, since the San Diego Long Term Care Ombudsman program is looking to double the size of it's volunteer program. If you substitute the word “advocate” for ombudsman it makes it easier to understand. Basically the program runs because volunteers go to different Skilled Nursing Facilities to visit with the residents to make sure that their rights are not being violated. Residents in nursing homes have a right to live as they wish, even in a Skilled Nursing Facility. In California, they have a right to a 30 day notice when a facility wants to make them leave, even if they are not paying the bill. Residents have the right to have care in a timely fashion. In other words, if your diaper is dirty, you shouldn’t have to sit in a dirty diaper for hours because the facility doesn’t have enough people to assist you. In California, if a resident of a skilled nursing facility signs an advance healthcare directive; it must also be signed off by a volunteer in the Long Term Care Ombudsman Program in order to for the directive to be legal. These committed volunteers usually visit a resident because someone has submitted a complaint that there may be some sort of abuse going on. When I say committed, it's because the program consists of a 36 hour training, 10 hours of mentoring, and 12 hours of annual continuing education. Many programs, including San Diego's, are making regular visits part of their routine (which is why they are looking for so many volunteers). Often a complaint consists of physical abuse, but it can be other abuse, such as the resident being forced out of their home. Some SNFs differentiate “Rehabilitation beds” (short term) from “Custodial” beds (long term). 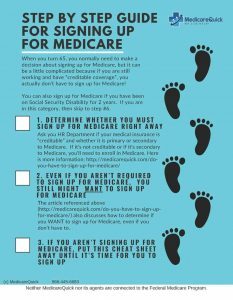 They do this because the pay for a short term stay (usually paid for by Medicare) is higher than the pay for a Long Term Stay, which is normally either paid for by Medi-Cal (Medicaid) or through the family’s own resources. Differentiating bed types for re-admissions is not allowed under California law. If a resident has to go to the hospital and stay over 7 days and their bed has been given away, the facility must give them a bed if one is available, even if the facility says, “We have Rehabilitation beds available, but not Custodial or Long Term Care beds available”. It turns out that over all, SNFs have been excessively discharging those people termed as Long Term Care because they are more work for less pay. In order for any of these reasons to “work”, there must be documentation in the resident’s chart that substantiates the issues. There are other items that were discussed as well. If you have any problems with your (or your loved one’s) SAN DIEGO Skilled Nursing Facility, be sure to call the Long Term Care Ombudsman Program at 1-800-640-4661. If you'd like information on volunteering for the San Diego program, please call the San Diego Long Term Care Ombudsman program coordinator, Luci Belcher, at 858-505-6322.